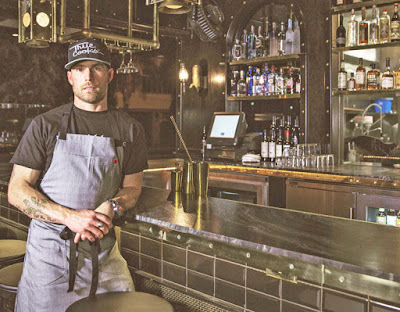 We broke the news earlier this year that Chef Steve Brown was returning to his hometown of Imperial Beach from Los Angeles to open a monstrous shipping container constructed restaurant - The Shipping Yard. We have also reported about several of his Cosecha pop up dinners, including the incoming Wagyu & Whiskey Dinner on December 17. We now learned that the talented chef has found a permanent home for his Cosecha pop up concept within the former Shima Steakhouse space in Coronado and will soon tap into the future of fine dining - ticketed specialty suppers. As evidenced by the multitude of themed and ticketed meals offered around San Diego, the almost immediate sell out of the prepaid Noma pop-up in Telum, MX, and the impossible-to-obtain reservations for the local sensation Cow By Bear suppers, there is certainly a market to be had in prepurchased pop-up dinners. Chef Steve Brown realized that the possibilities of the supper club concept of dining could supporting a brick and mortar restaurant and decided that he wanted a permanent home for such a creative outlet. "'Fine Dining' in a city like San Diego is driven by the craft beer, taco and burger scenes, which I am happy to be a part of," explained Chef Brown. "I came down to San Diego to open my very large Shipping Yard inspired restaurant that will have a brewery and modern comfort food showcasing what San Diego wants, but my background being fine dining, after awhile of being in San Diego, of course, I got the itch to get back into creative modern cooking." Beginning in early 2017, Chef Brown will operate his Cosecha concept, which means "harvest" in Spanish, inside the private dining room space in the former Shima Steakhouse location at 126 Orange Avenue in Coronado. There, Brown will offer around 40 ticketed guests a price fixed, multi-course culinary experience weekly for dinner Thursday through Saturday, continuing to use only fresh and seasonal produce from Wild Willow Farm in South County. Eventually Brown will utilyze the rest of the space for a more casual restaurant concept. "I've been watching the San Diego food scene grow into a food driven town fueled by the likes of Juniper + Ivy, Bracero, and Herb & Wood, who are paving the way of the Little Italy boom," continued Brown. "But what they all have in common is that celebrity name at the center of each of them, so there is less of a risk. I started my pop-up basing everything off of my local Wild Willow Farm relationship and the feedback has been amazing, usually selling out dinners in 2 days. So I toured it around San Diego and saw that there was a demand, with the key being to presale tickets and create a modern supper club style of restaurant. For someone like me, this is definitely the way to go by focusing on a purely creative and extremely special dinning experience in a very small market in the 8th largest city in the United States." Chef Brown started his culinary career in Garmisch, Germany, in 1999 at the age of 18 as a dishwasher in a hotel, falling in love with food and the chef-life. After two and half years in Europe, he returned to Los Angeles to attend Le Cordon Blue culinary school. Chef Brown has worked with many great Chefs like Chef Jake Rojas of Tallulah on Thame and Chef Marcel Vigneron of Wolf, and many great fine dining kitchens from Palm Springs to Los Angeles and San Diego. Chef Brown opened Gardner Junction in West Hollywood in 2015. 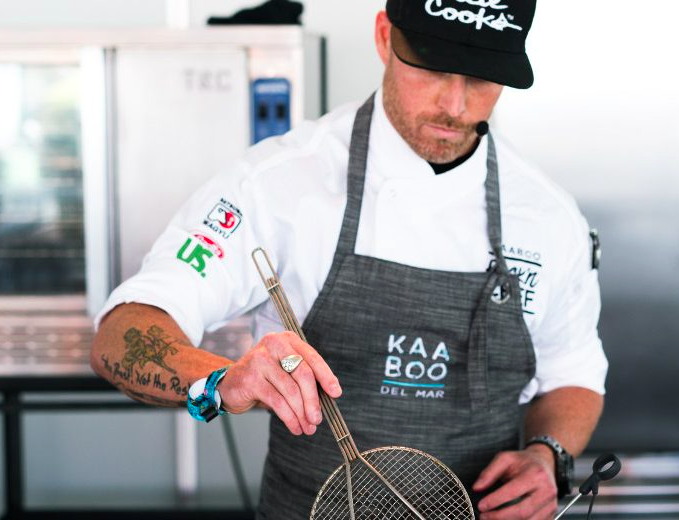 Locally, he was the head chef of Brockton Villa in La Jolla in 2006-2007 and won KAABOO Del Mar's Rock N' Chef competition in 2016. Before his anticipated launch of the Cosecha brick and mortar this coming February, catch Chef Steve Brown at his Wagyu & Whiskey on December 17, at his Galaxy Taco Tuesday Takeover on December 27, and at another Wagyu dinner at the Shima space on January 14. For more information, visit chefstevebrown.com.